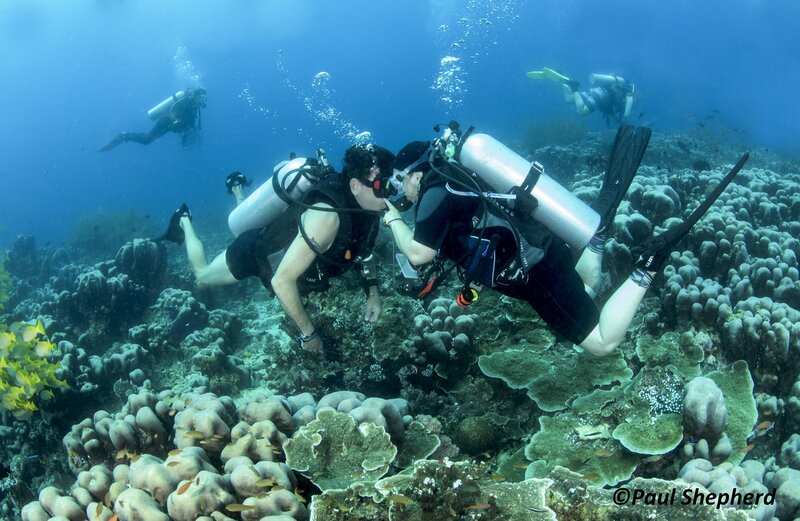 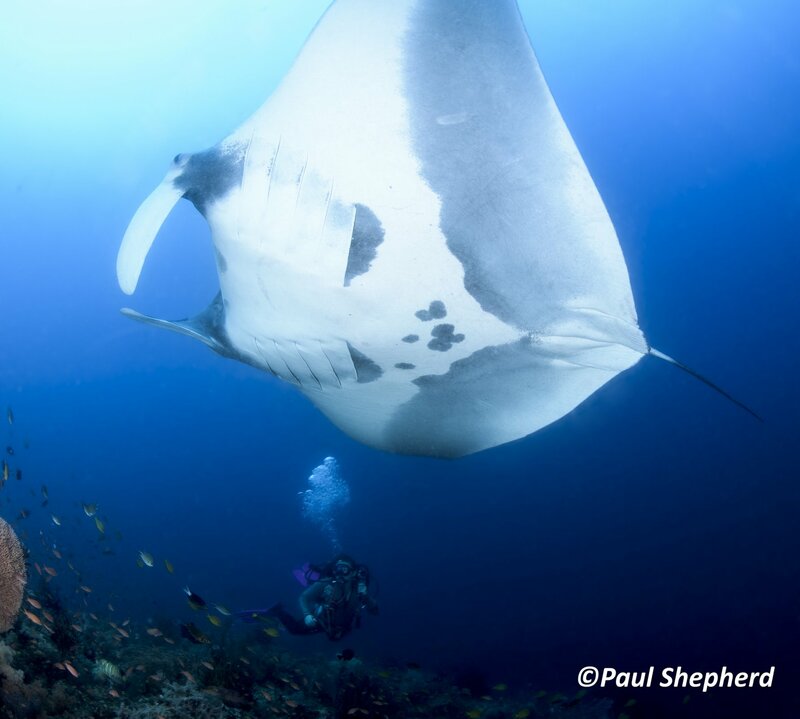 In December 2015 18 of us flew out to Indonesia for the most amazing dive trip. 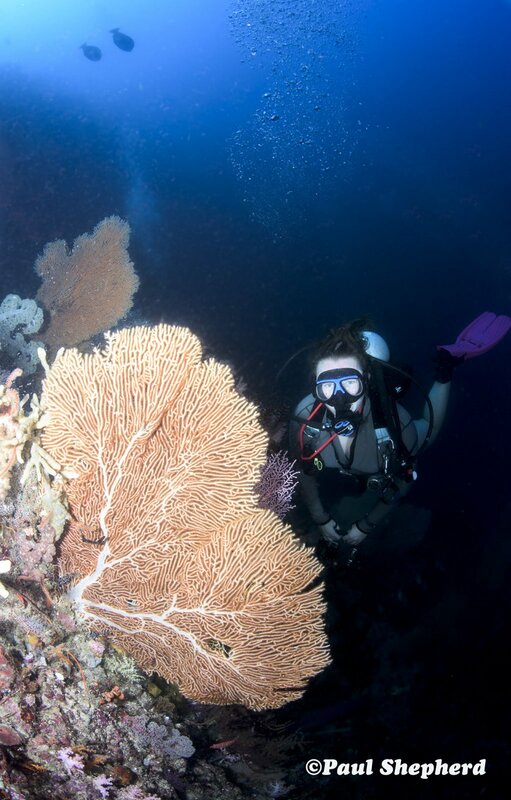 Most of us met in Bali for a few days before of acclimatization and relaxation before heading onto Sorong and meeting the incredible Indo-Siren boat from Siren Fleet. 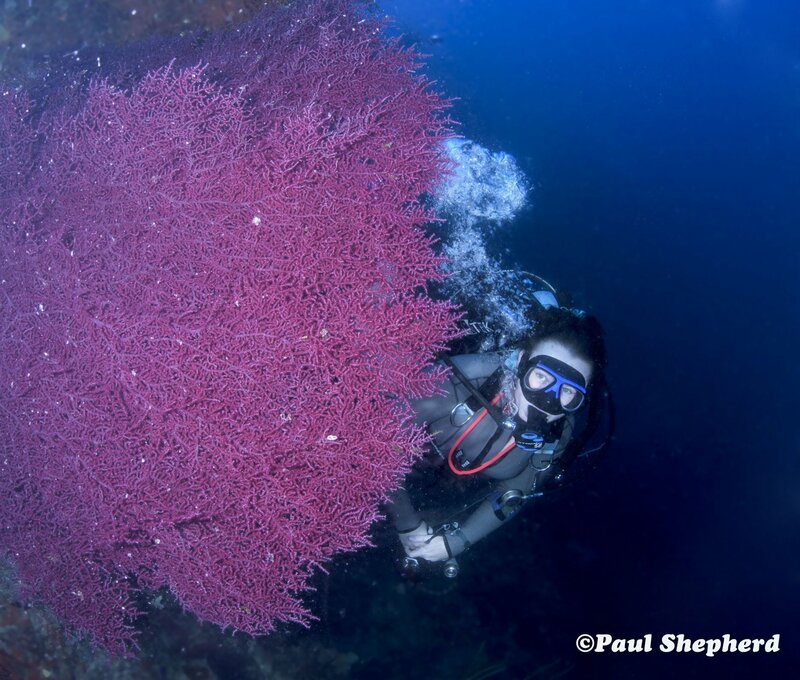 This 140ft boat is unbelieveable and would be our home for 10 nights and 34 dives! 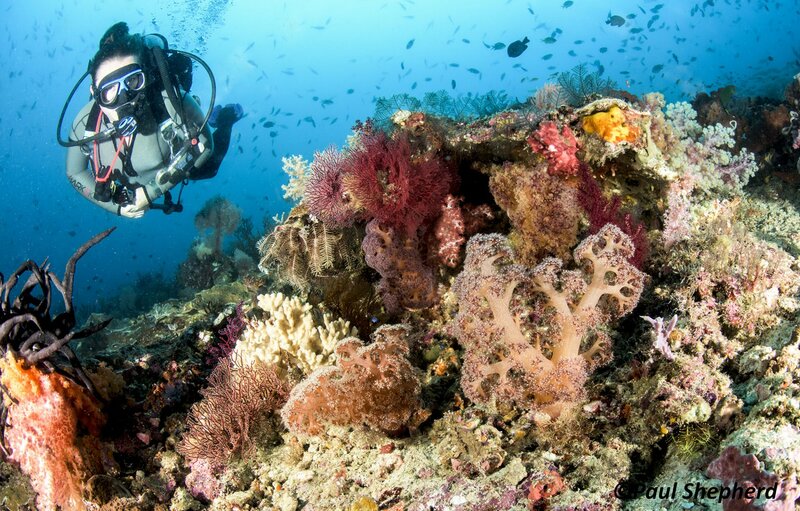 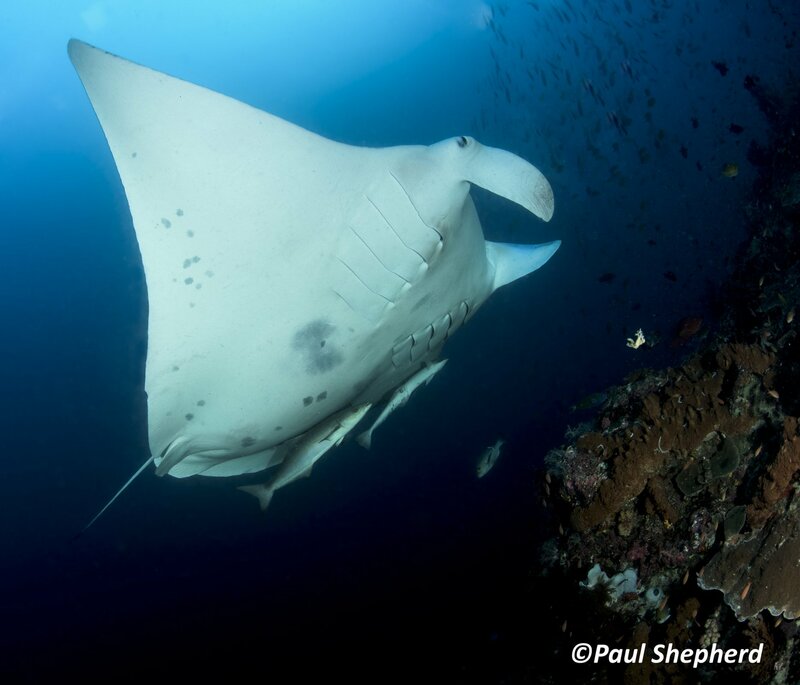 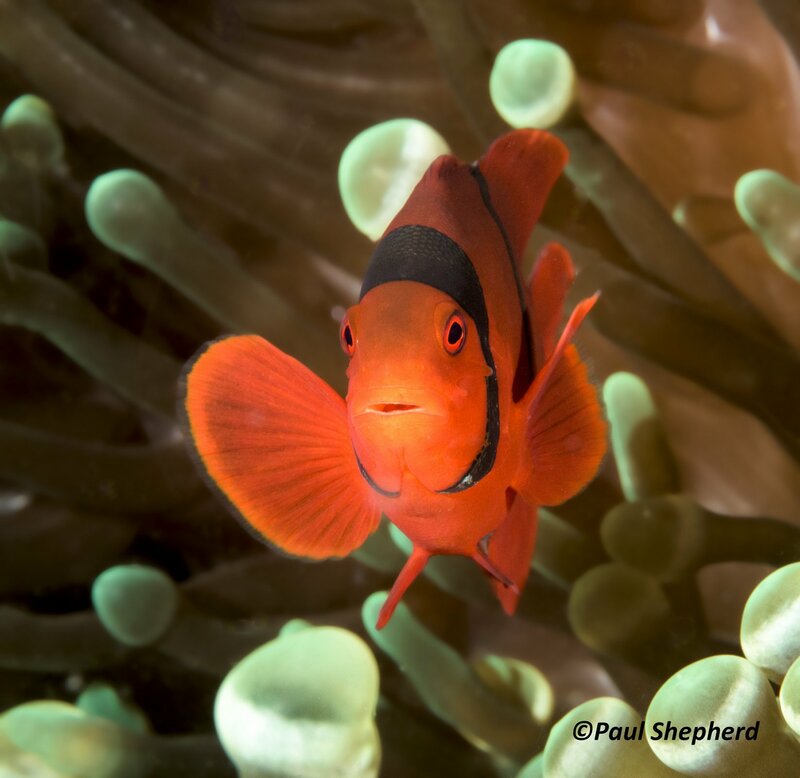 Raja Ampat is one of the most unspoilt and remote areas of the World with a huge marine reserve keeping the large fishing vessels out and making the most incredible diving experience for us. 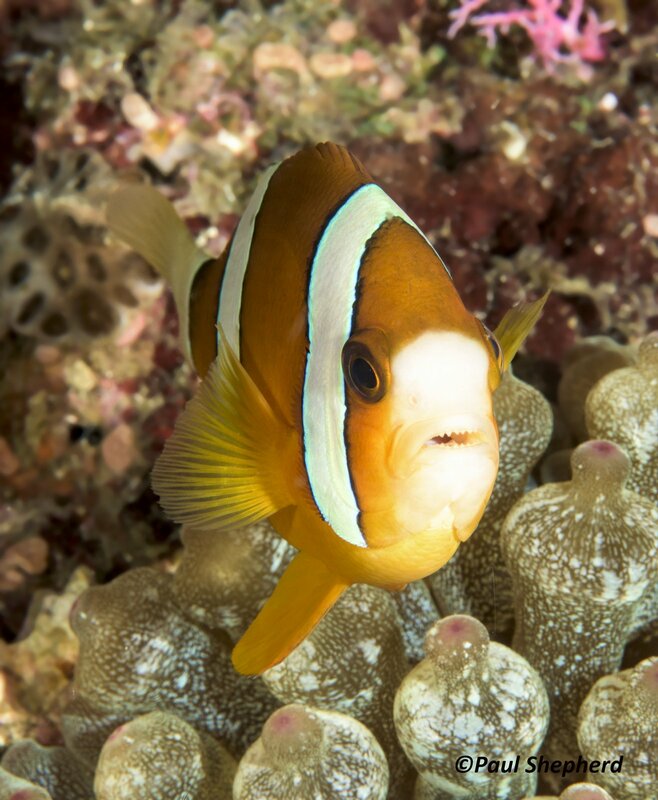 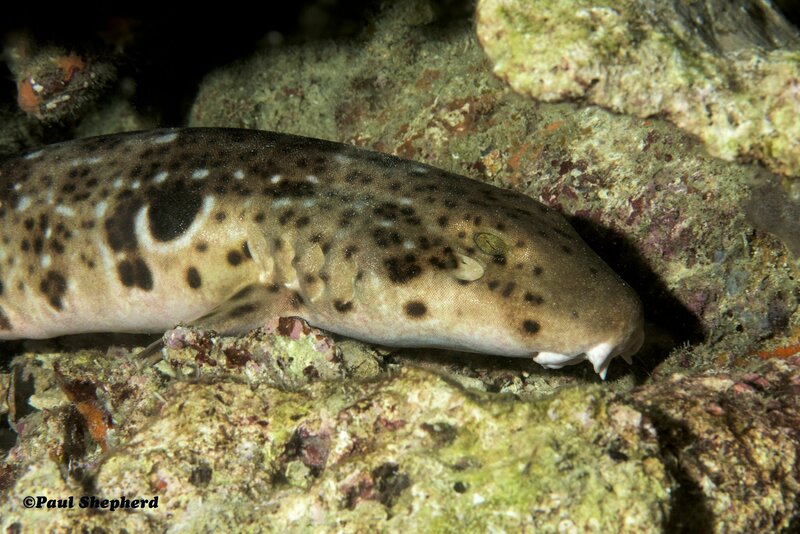 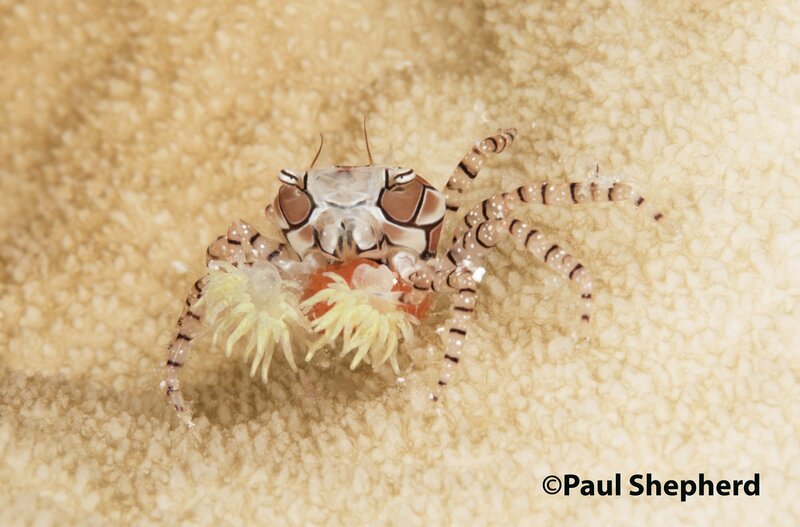 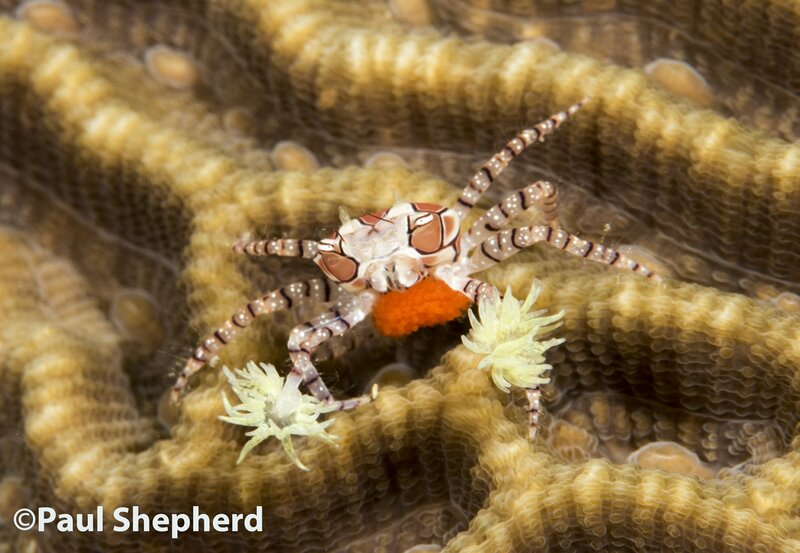 The abundance of corals, fish, nudibranchs, turtles, and other critters was outstanding. 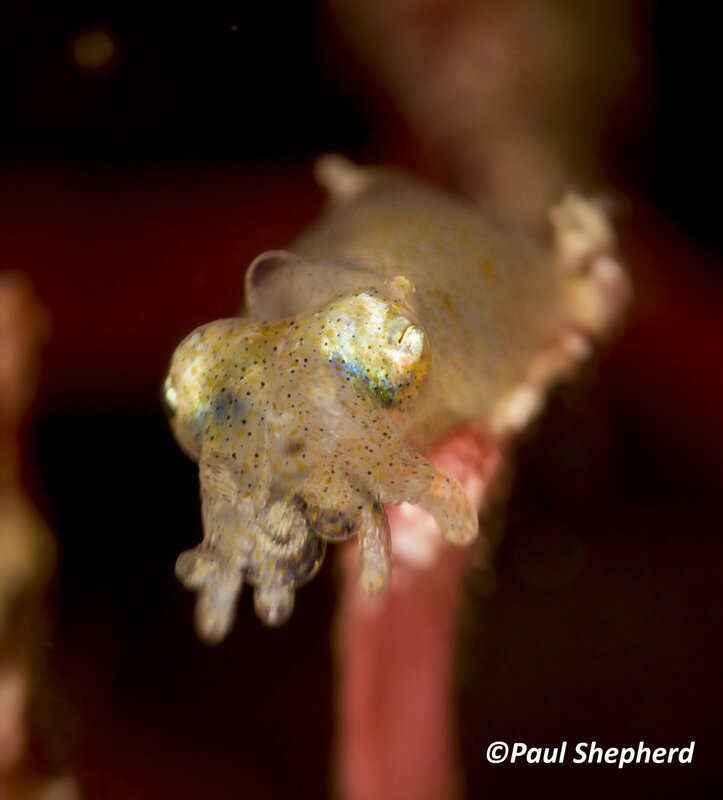 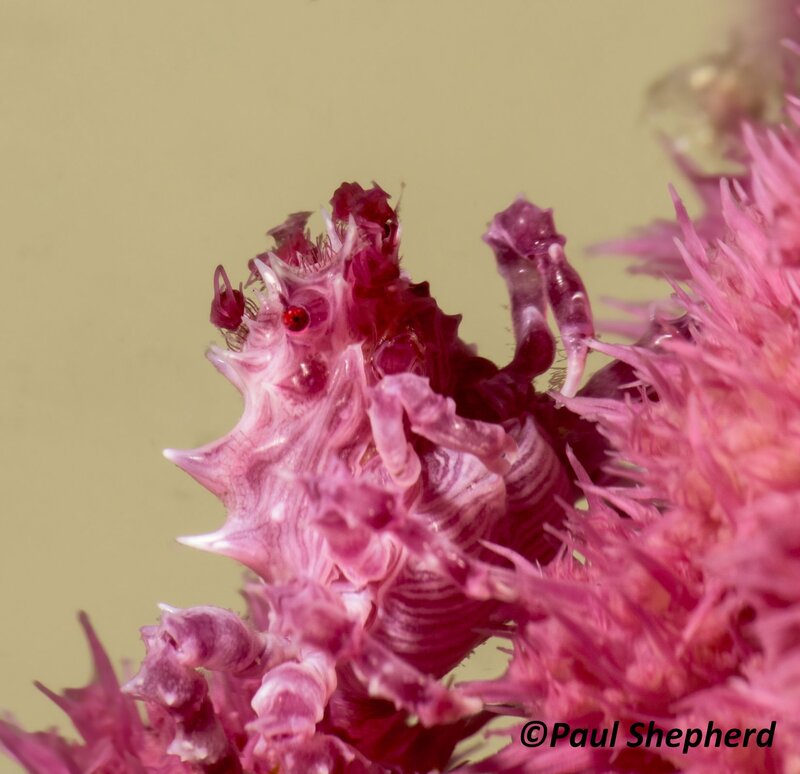 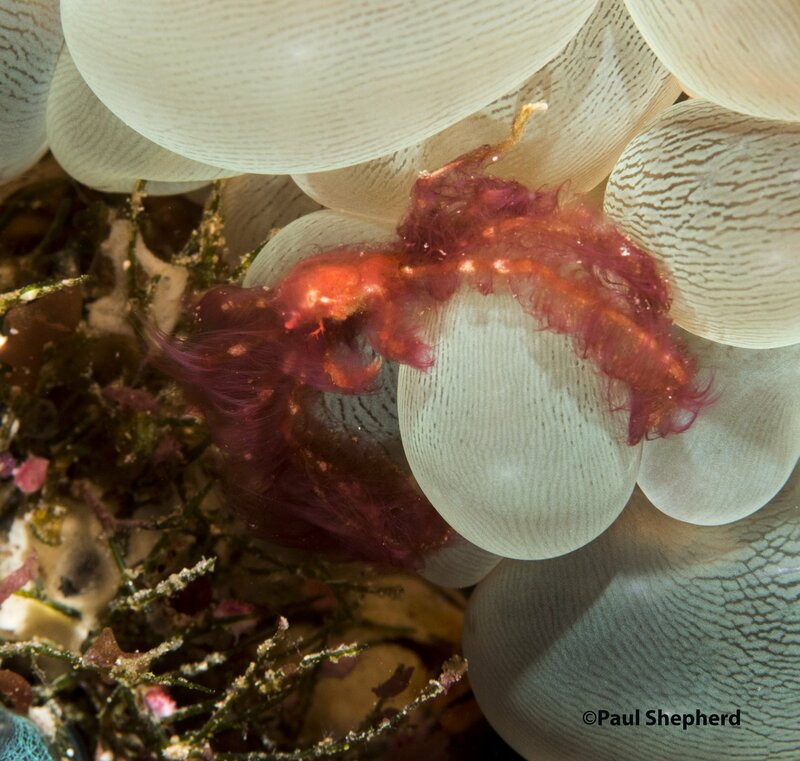 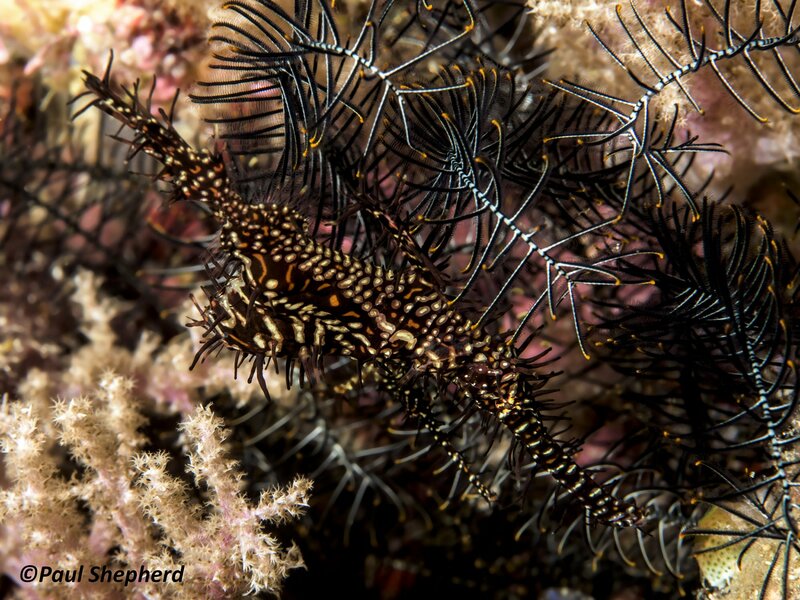 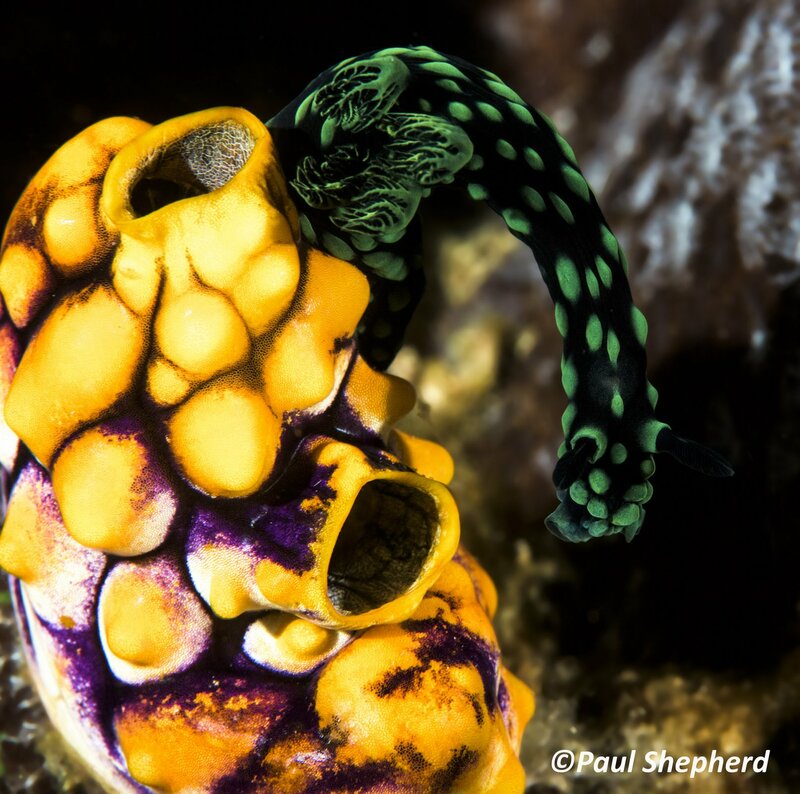 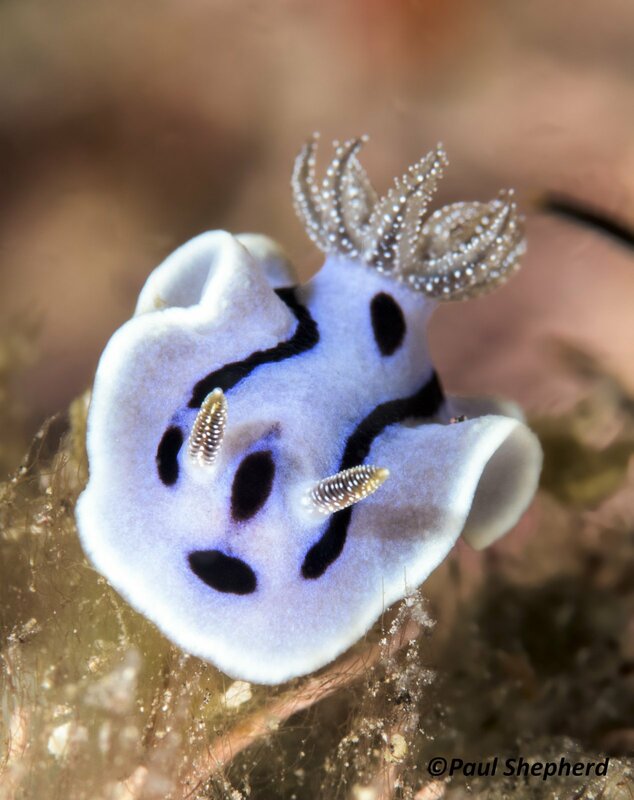 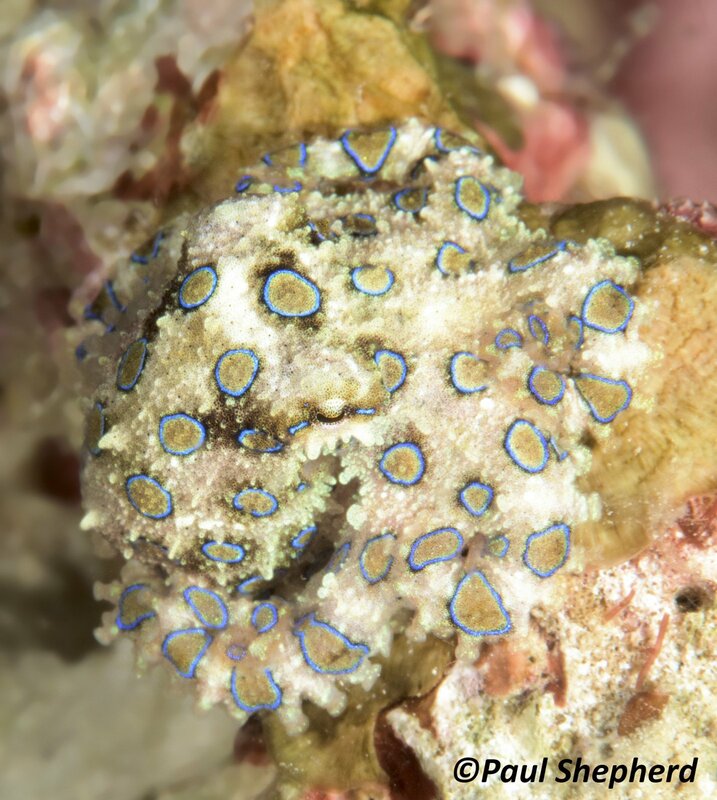 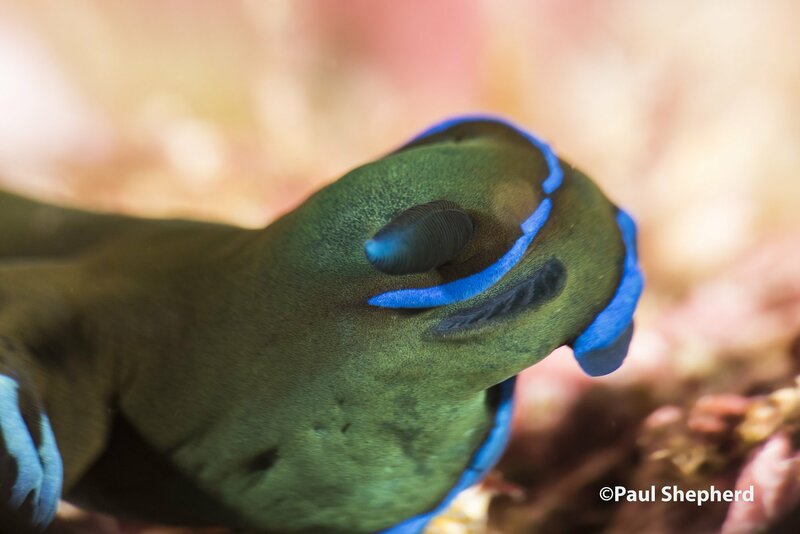 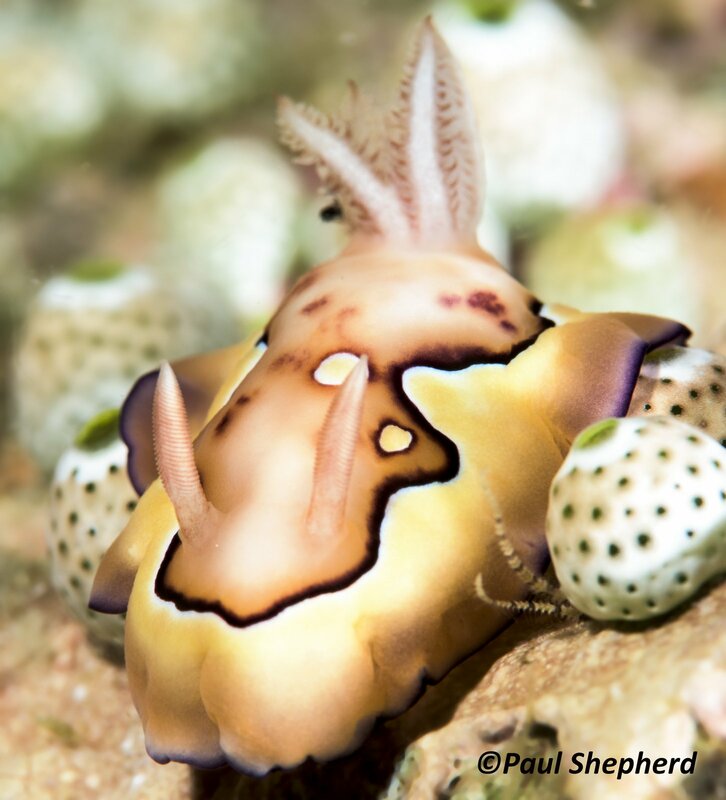 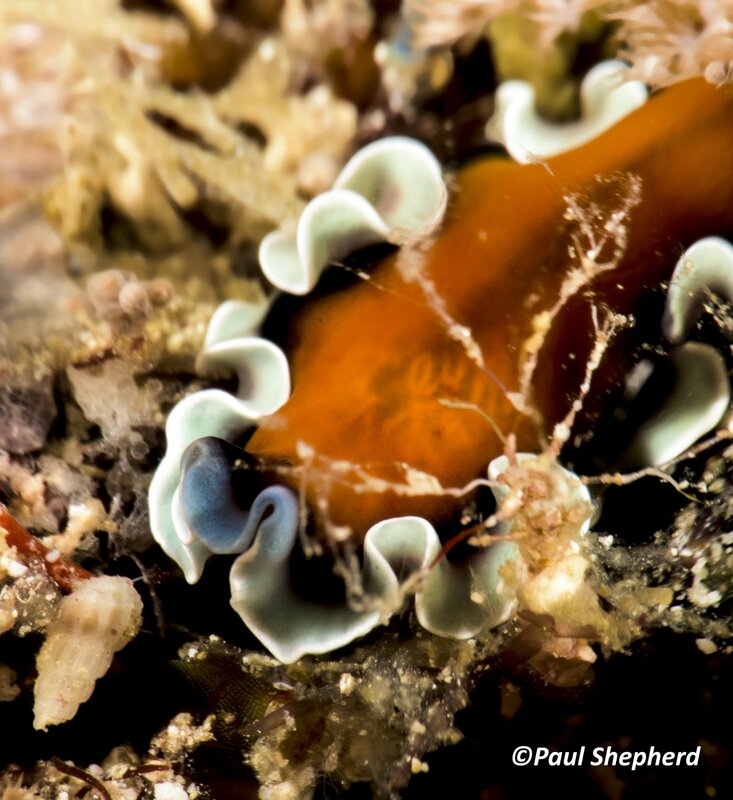 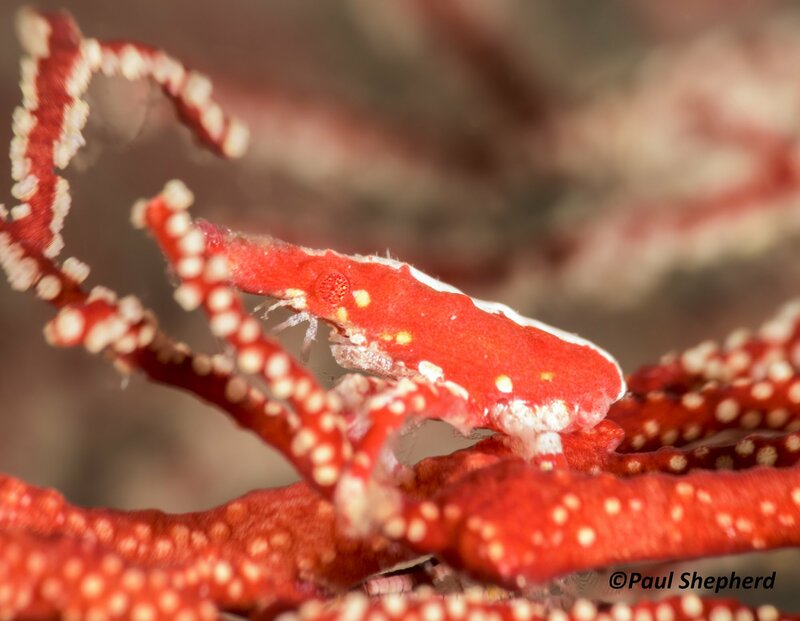 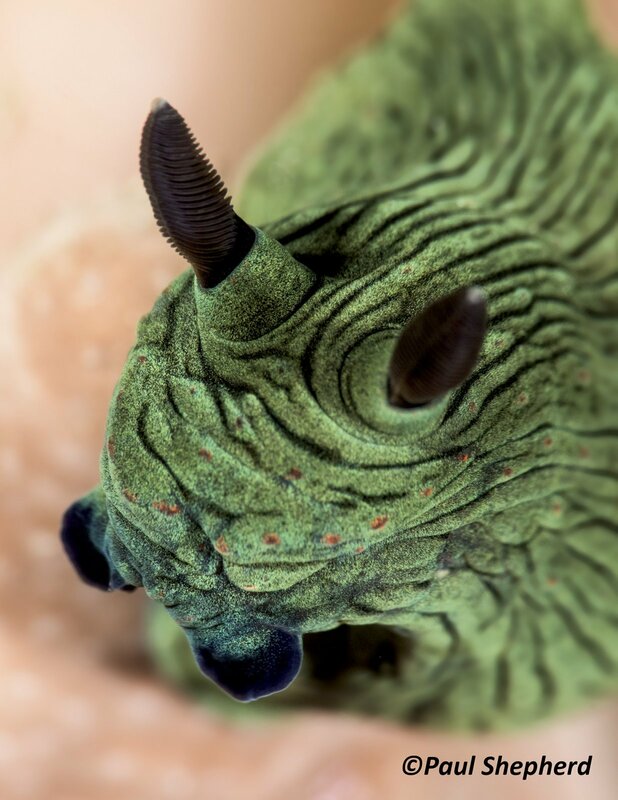 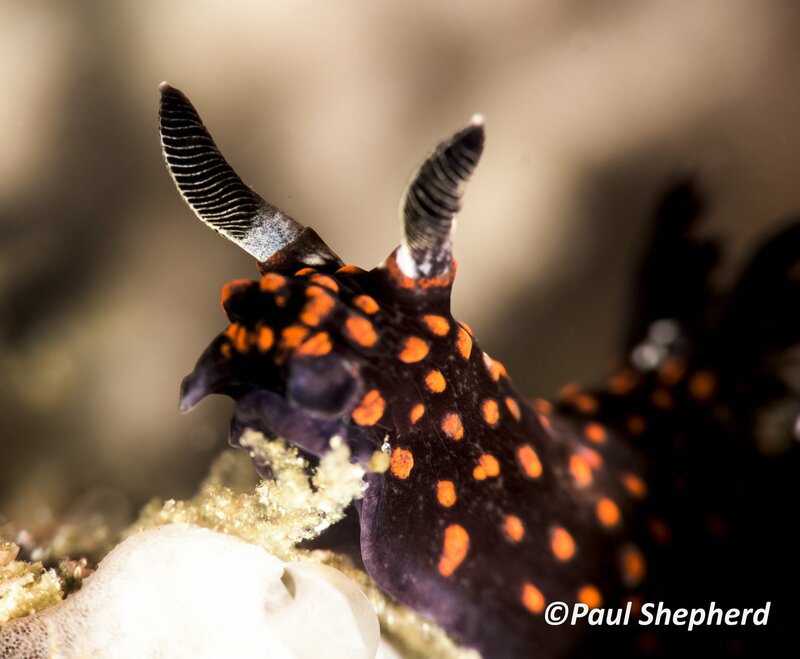 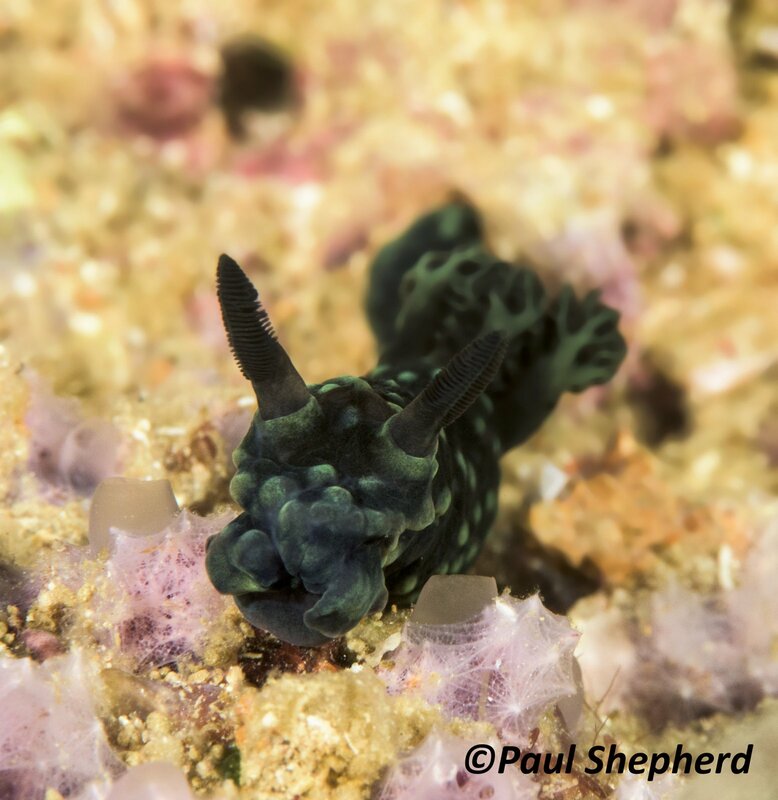 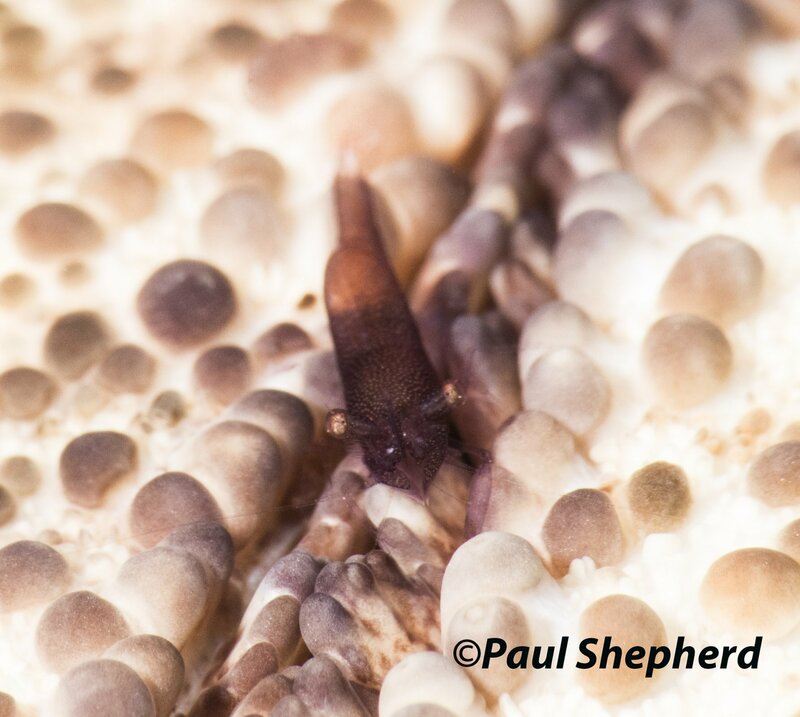 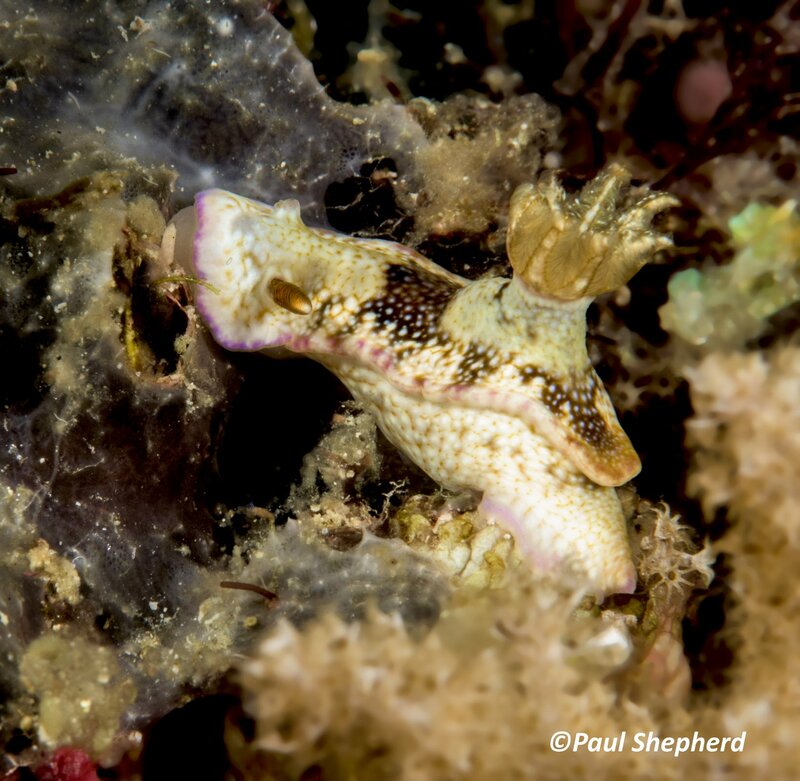 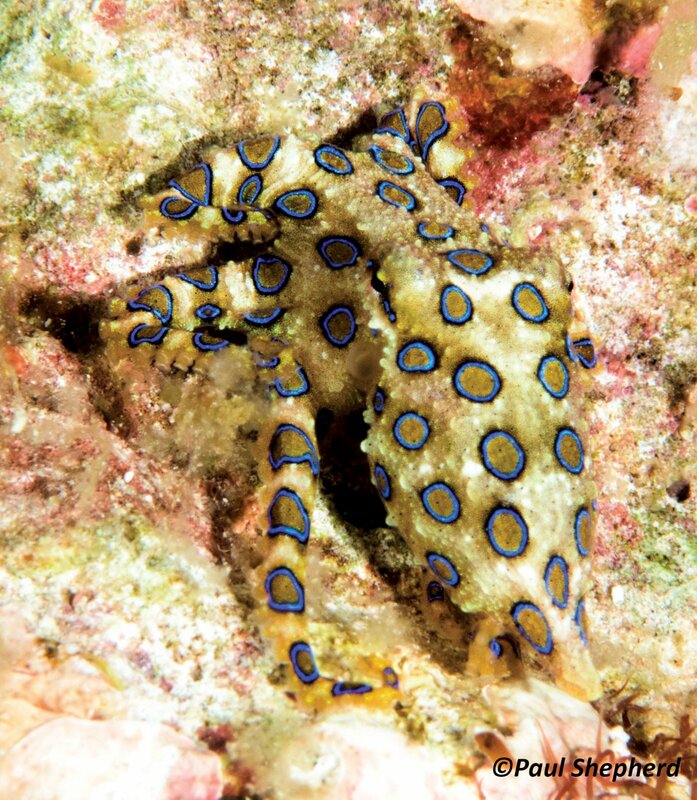 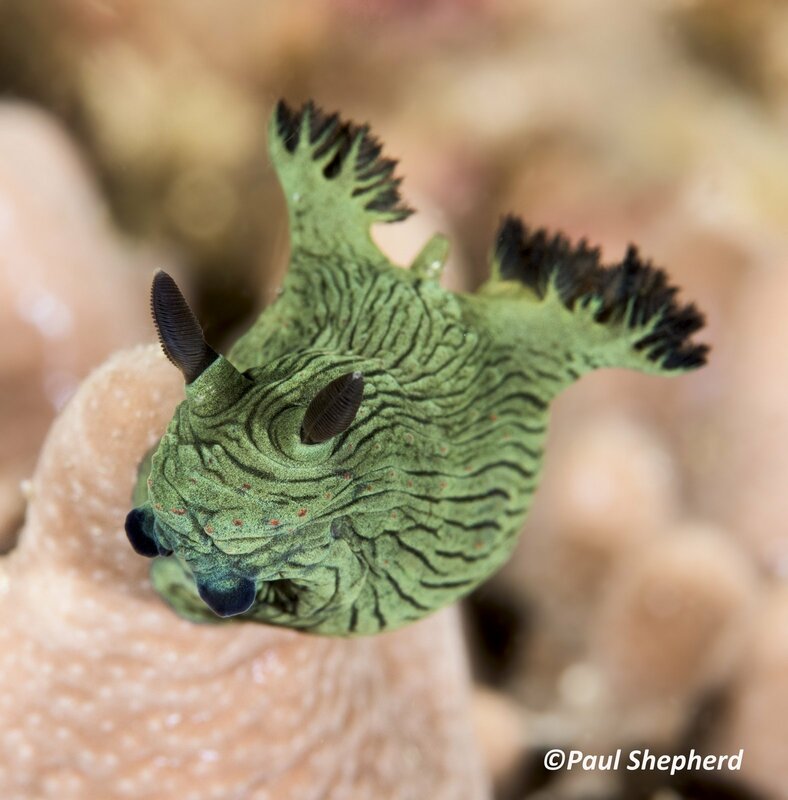 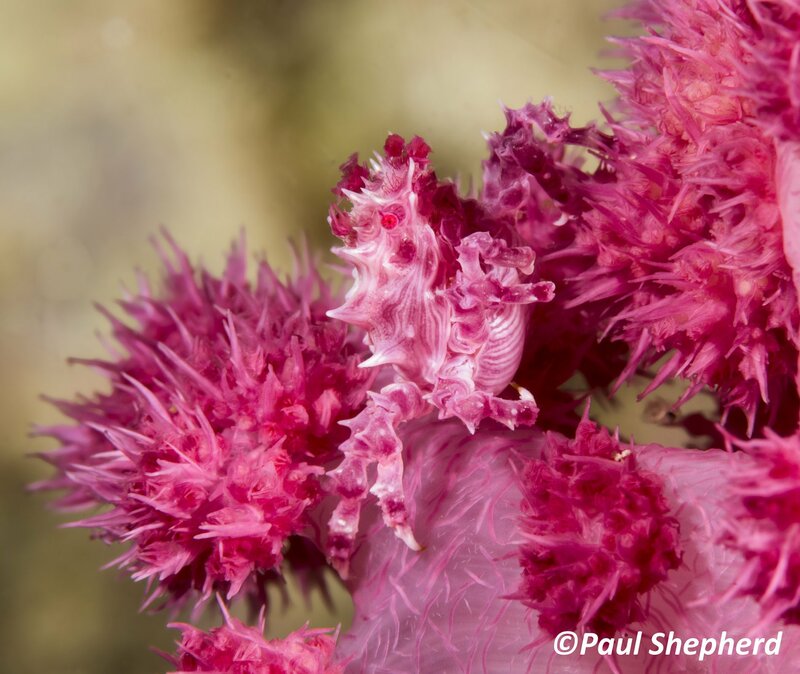 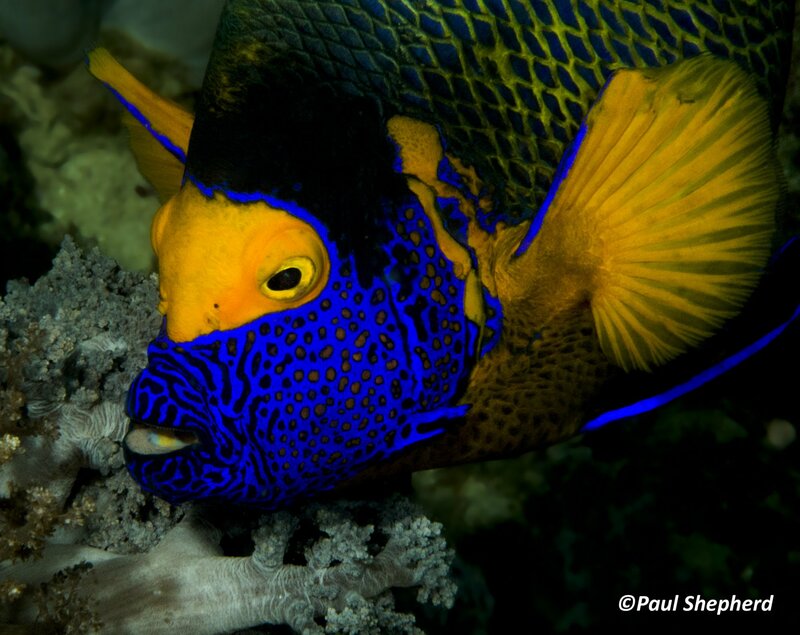 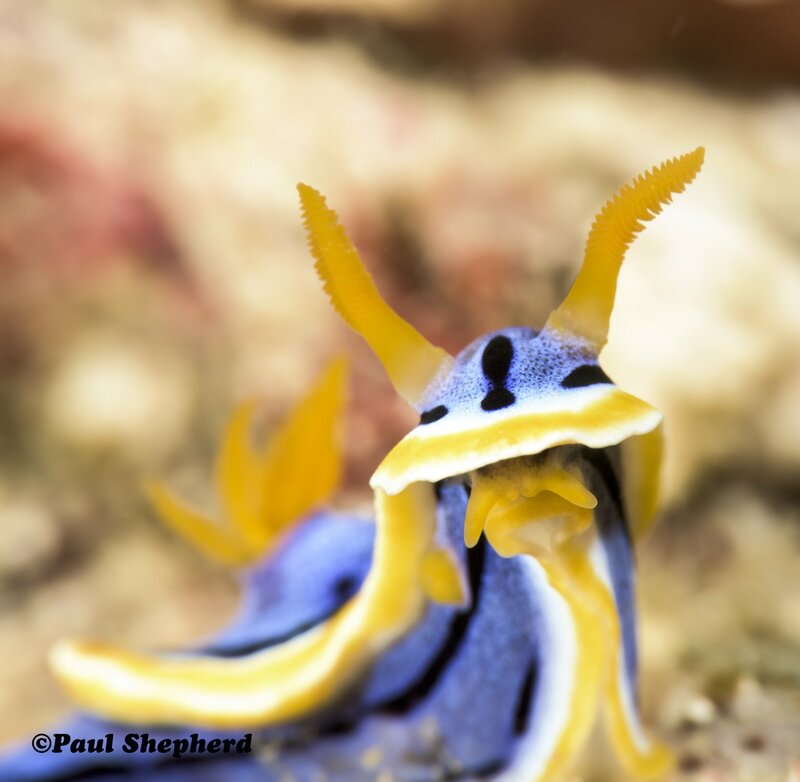 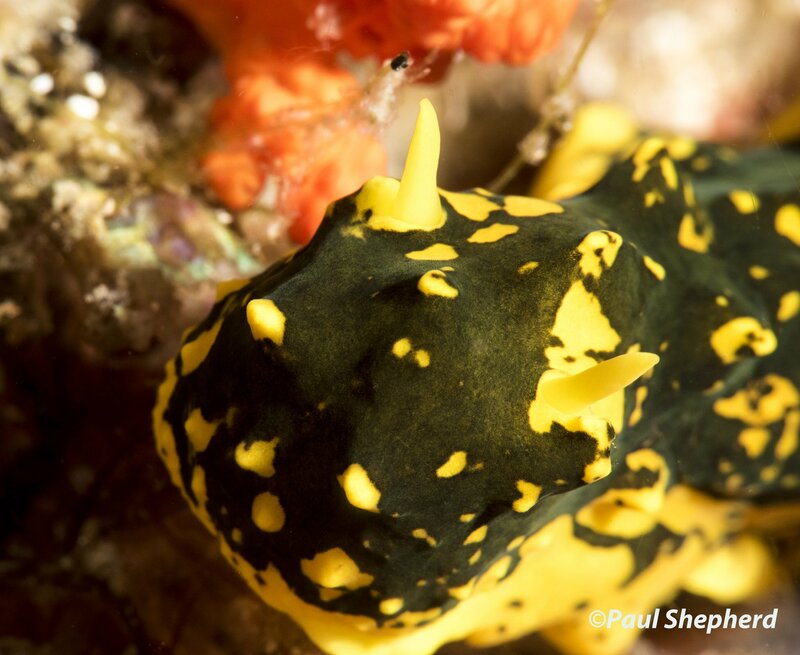 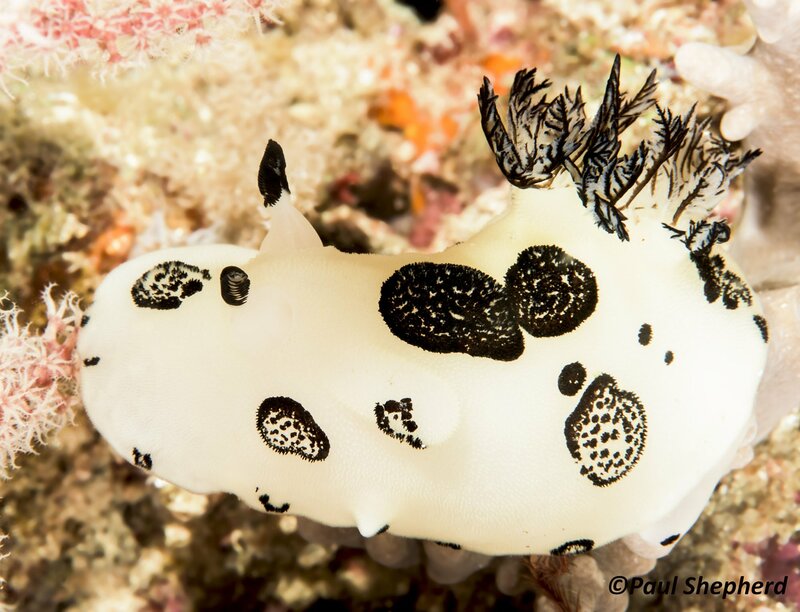 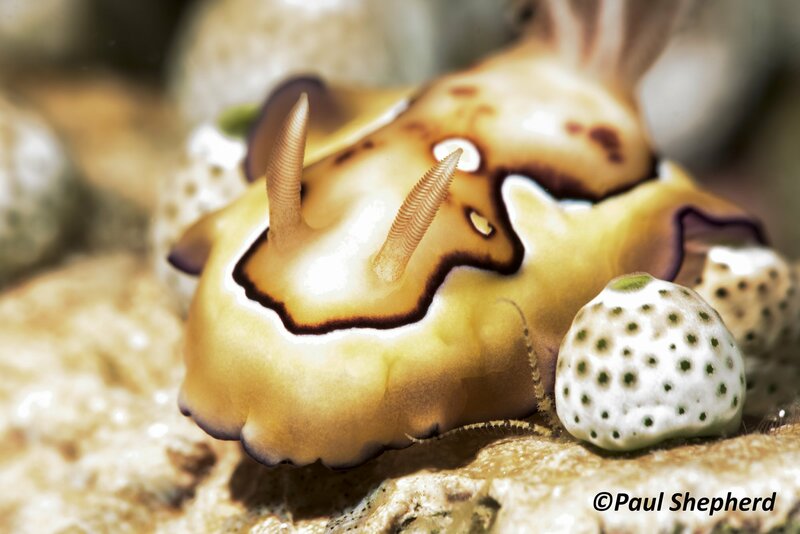 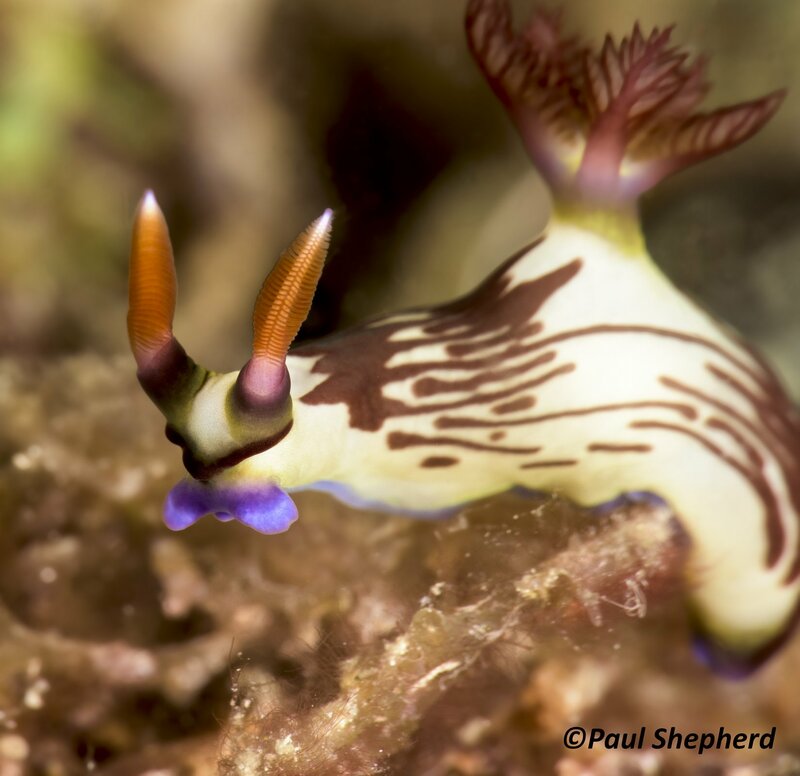 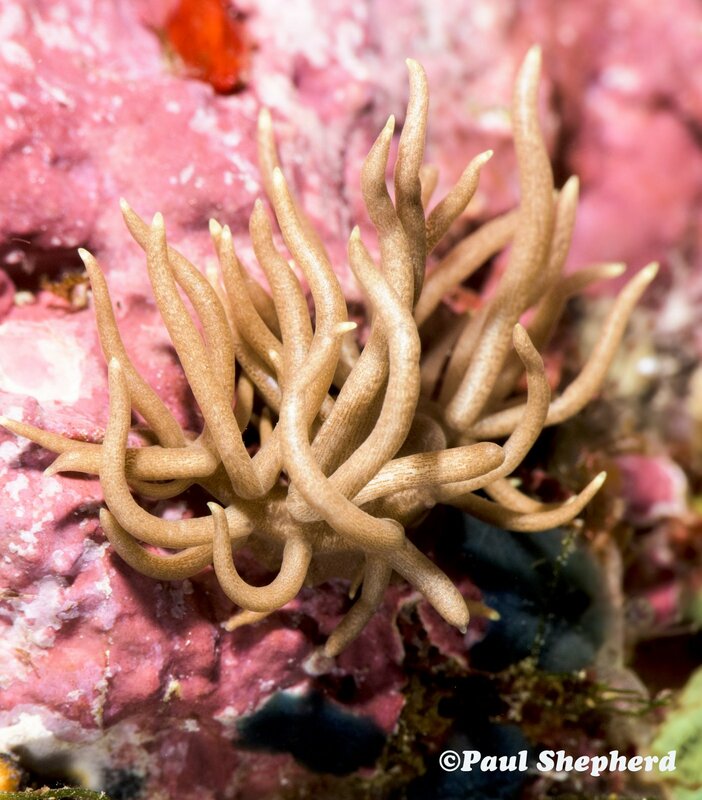 Paul was in his element with the Nudibranchs and his record on one dive was 72 many of which were different. 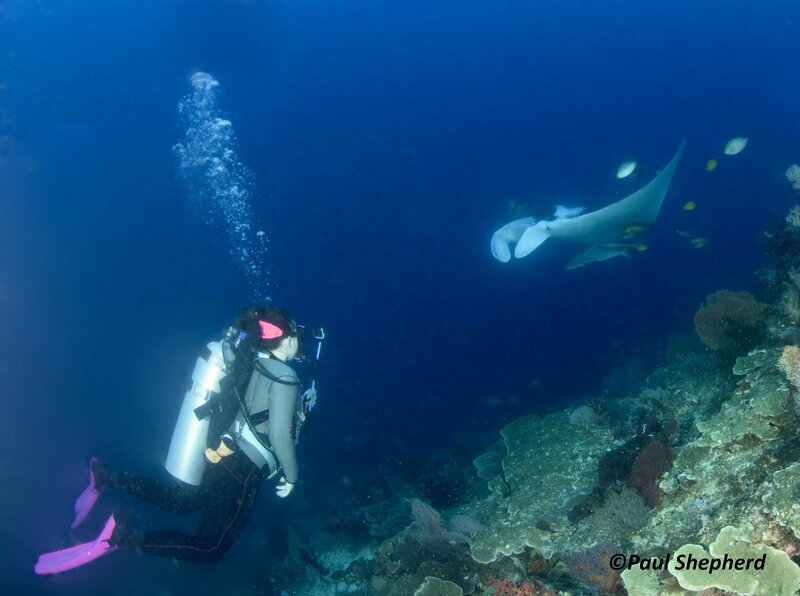 The Turtles, Mantas and schools of jacks amazed everyone. 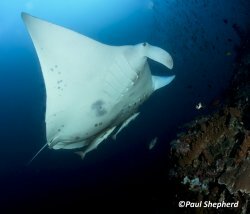 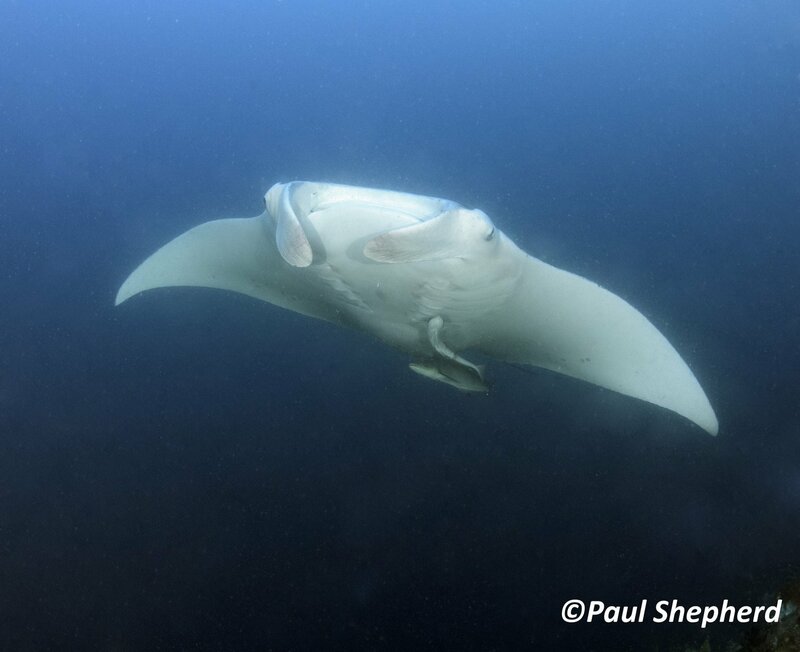 Some of the real highlights were Blue Magic with the incredible Manta cleaning station. 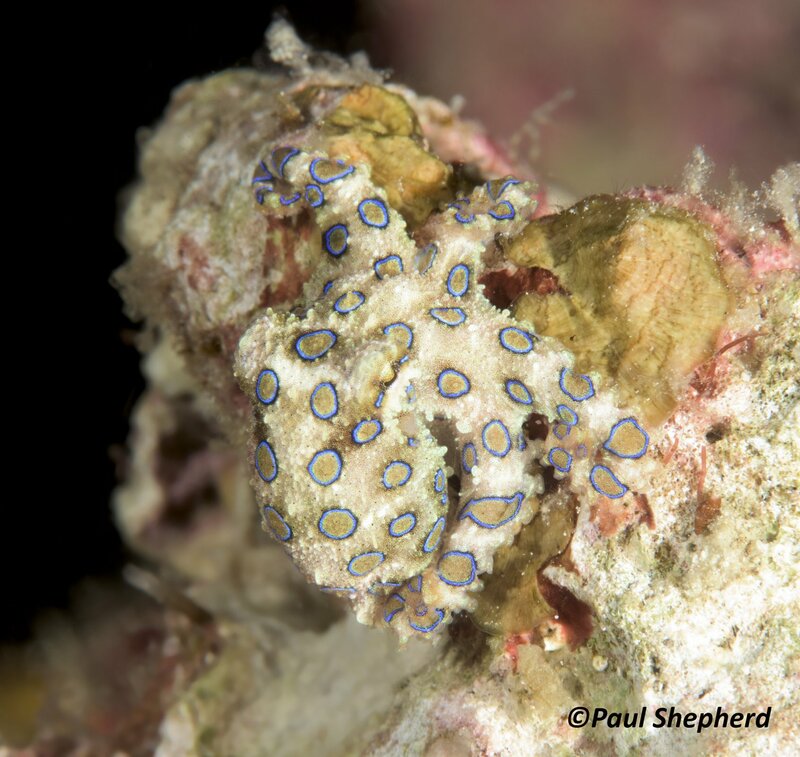 The Pier at Aborek was probably most peoples favorite dive with the variety of life there from Blue Ringed Octopus to Frogfish with Eggs this site was incredible. 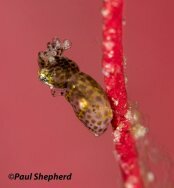 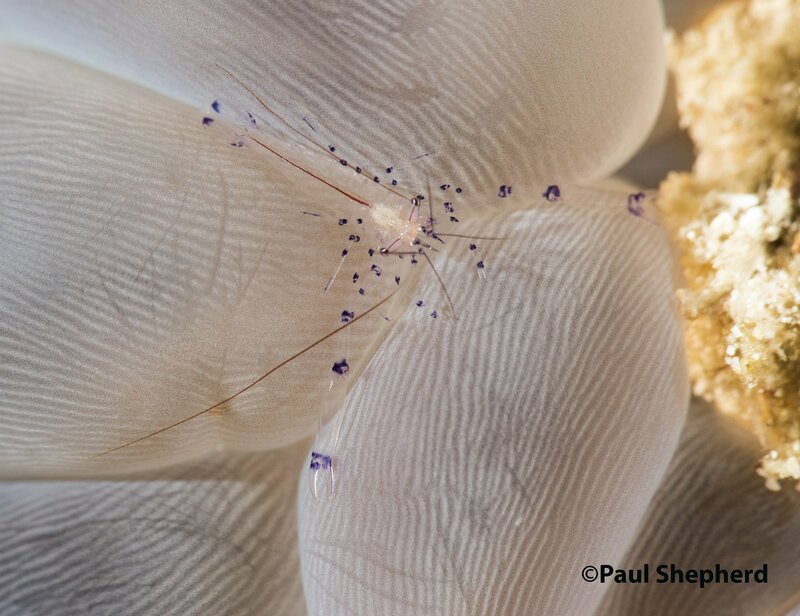 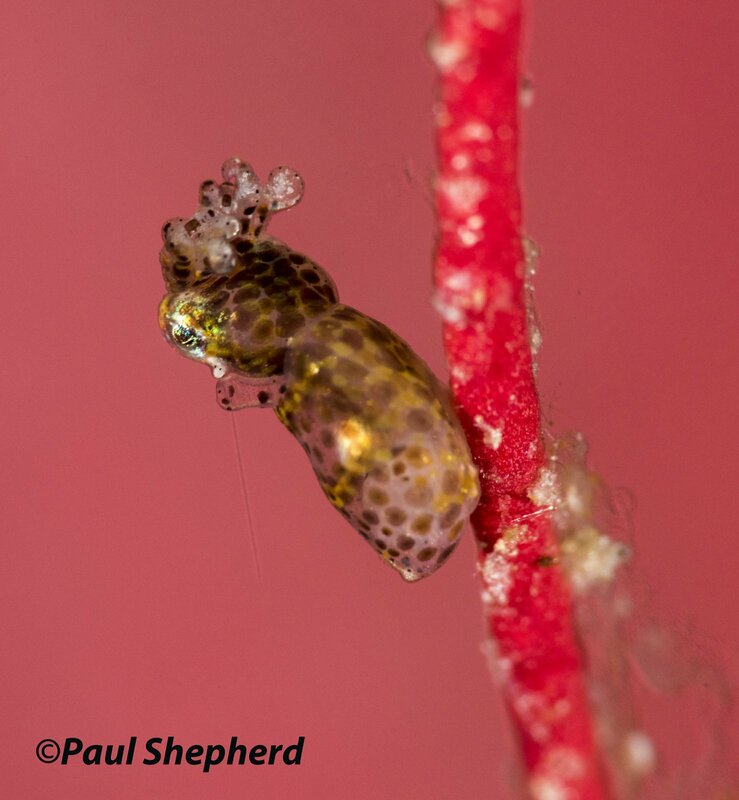 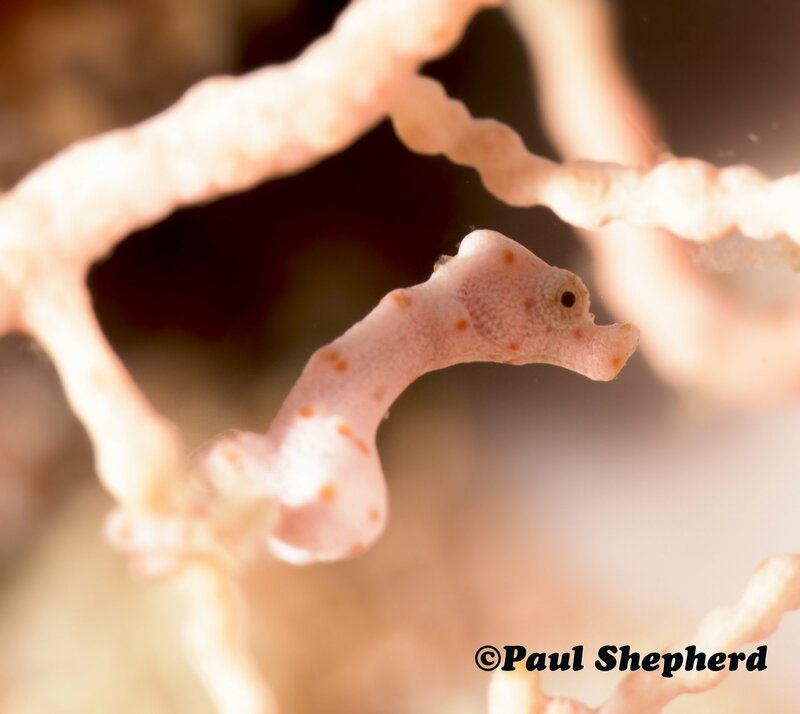 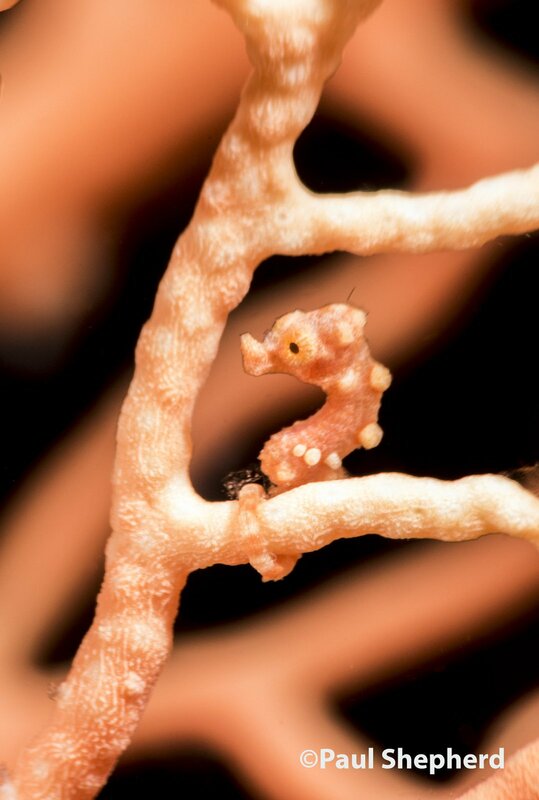 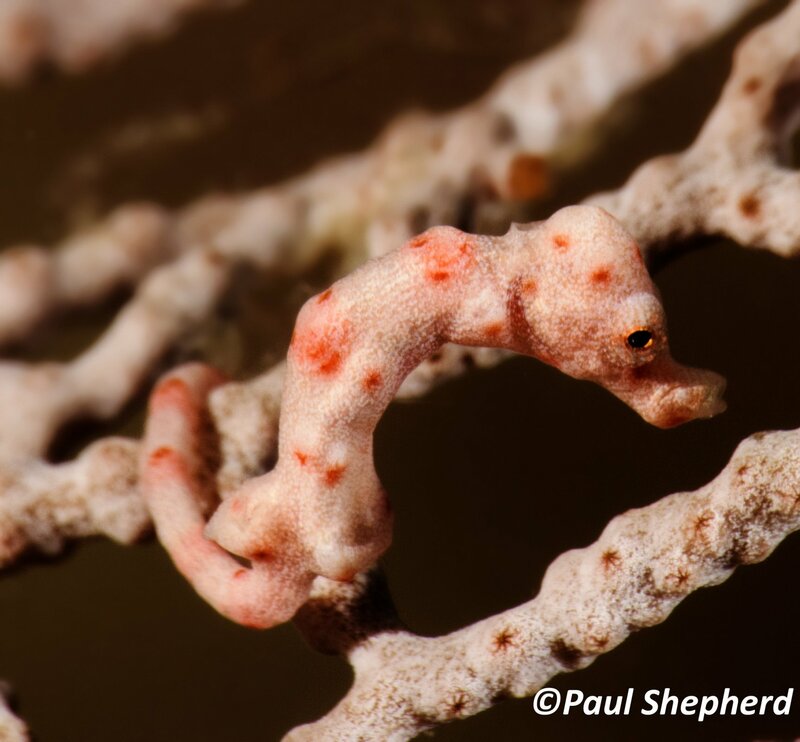 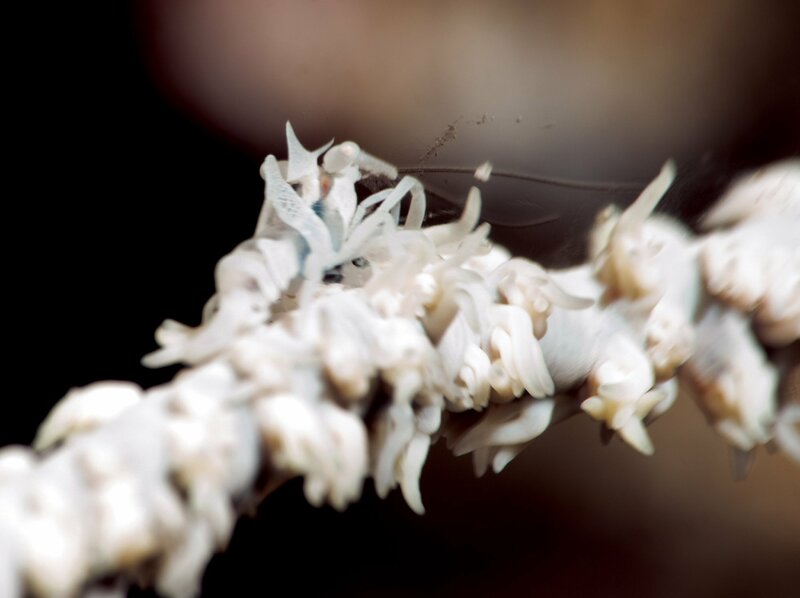 Some of the smallest subject were the most interesting and we were lucky to find many with eggs including the Hairy Shrimp and Ringed pipefish. 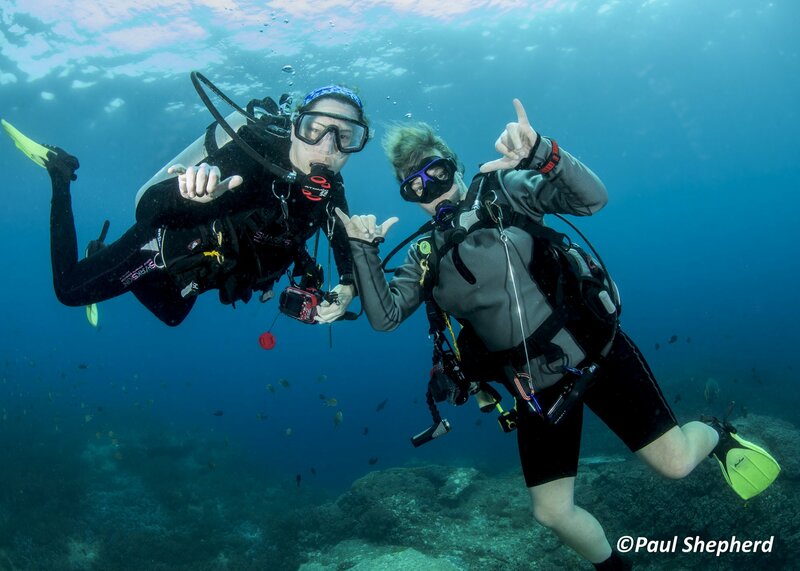 The guides on the boat were incredible at finding stuff and the hospitality of the whole crew was fantastic. 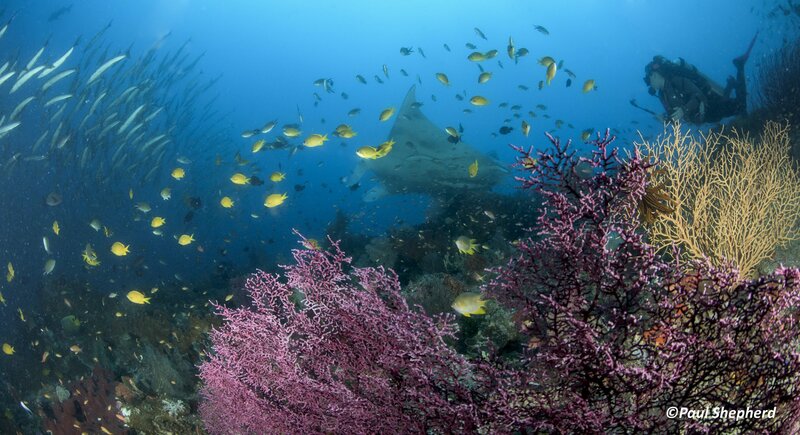 We cant wait for the Komodo Tour on the Indo-Siren in 2016!